Former governors and other known personalities have landed plum State jobs in latest appointments announced by Statehouse. We look at the list of those who made it to the payroll. David Ole Nkedianye (former Kajiado Governor) made it to become the new chairman of the National Water Harvesting and Storage Authority. 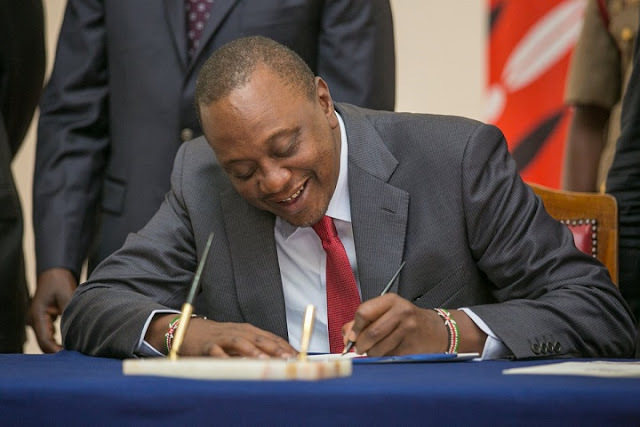 Paul Tergat, who is considered by many as one of the most successful Kenyan runners also landed a job as appointed by President Uhuru Kenyatta. For the next three years, the Water Services Resource Board will be headed by the Former Laikipia Governor Joshua Irungu. In another appointment, the Kenya Academy of Sports Council will be chaired by sports legend Paul Kibii. The chairman of the Water Resource Authority will be the former Mwingi Central MP Joe Mutambu. The Lapsset Council of Development Authority will be headed by Titatus Ibui. Uhuru also appointed Jack Chebet and Martha Muthoni to sit in as board members in the Lapsset authority. For the next three years, Gunzi Rai will be the chairperson of the Kenya Fisheries Service while Geoffrey Ngombo Mwango will be at the helm of the Kenya Maritime Authority board. In another appointment, Simon Gicharu will resume work as the head of the Rural Electrification Authority while Olga Karani will serve as chairperson Council of Kenya Cultural Centre. Retired Major General Njuki Mwaniki will serve as a non-executive chairperson in the National Youth Service Council. Interior CS Fred Matiangi also appointed Cyrus Kibera Maina as the head of the Betting Control and Licensing Board in Kenya. A Gazette Notice actualized the appointments between February 7 and 8, 2019.